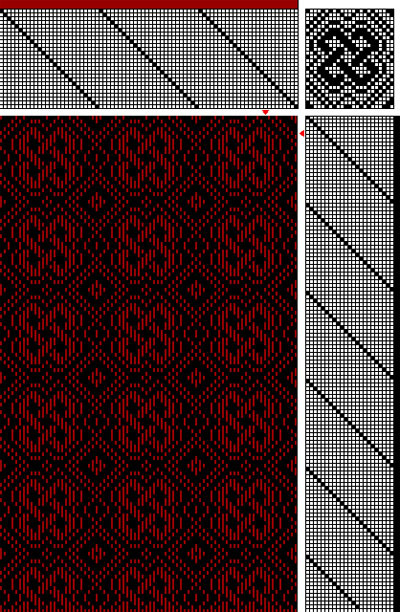 Not appropriate for the coat, perhaps, but it would make a very lovely cloth.Â Not sure just what yet, but this one I like and do intend to weave up someday. Tomorrow morning I’m going to my mom’s, where there is no wireless and only limited Internet connectivity, so you may not hear much from me until the 26th, when we fly out to Chicago to visit Mike’s family. So if I don’t post before then, merry Xmas! or whatever winter holiday you celebrate.Â It’s a great time to celebrate, to spend time with the people you love, and to prepare for the coming New Year. This will have to be my favorite, I like it very much.